If you have ever tried making a smoothie with a really cheap blender, then you obviously know how frustrating it can be. Basic blenders just do not have the capability of crushing frozen fruit and ice. Most of the time you are left with a chunky concoction that is less than enjoyable. If you are wanting to make smoothies on a regular basis, then you are going to want to purchase a blender that can get the job done consistently and efficiently. You need a blender that is designed to liquefy its ingredients with ease. The first thing you will notice when shopping for a smoothie blender is that the prices will usually be a bit higher than your average blender. While this price may seem a bit high for a blender, you need to keep in mind that this is an investment that is going to last you for years to come. When you buy an inexpensive blender, a lot of the times these poorly designed devices will break down, causing you to spend even more money getting them repaired or buying another one! However, it is important to understand that buying the most expensive blender does not ensure that you will get the best one. This article can assist you in making the right decision. When shopping for a smoothie blender, there are some features you want to make sure your blender has. Powerful motor – In order for a blender to make good smoothies, it has to have a decent sized motor. For example, some of the leaders on the market like the Vitamix 750 rock 2.2 horsepower motors. You will have problems liquefying just about anything you throw at it. While 2.2 horsepower is not absolutely necessary, you do want to make sure you have at least 1 HP. Multi-prong blades – This is an essential part of your blender and makes a world of a difference. When using a lot of ice, it is important that your blades are multi-pronged. If not, your blender could be easily damaged. You also want to make sure that you are purchasing a blender with high quality blades made of stainless steel. Oh, and make sure they are sharp. Large Pitcher – You may not think this is a big deal, but once you start making smoothies on a daily basis you will see how great it is to have a large pitcher. Even if you are only making smoothies for yourself, most of the ingredients are rather large (frozen banana) and that extra space really makes a difference. Manual Speed Control – This is such an under-appreciated feature of blenders. Have you ever heard of the tornado effect? If the contents of the blender jump straight into full speed, you have the chance of creating large air bubbles which prevents the ingredients from circulating. This will leave you with a chunky, unenjoyable smoothie. So What’s The Best Smoothie Blender? This is really the best blender on the market. It has everything you need to make the perfect smoothie, and more than enough power (as mentioned earlier) to handle any ingredient. Many people are turned off by its large price tag, but this is the last blender you’ll ever have to buy. Go ahead and read some user reviews, people are OBSESSED with their Vitamix! If you are still worried about the price tag and it possibly breaking, then Vitamix’s 7 year warranty should give you some peace of mind. You’ve probably seen Blendtec’s at your local smoothie shop. That’s because not only are they fantastic at making smoothies, but they have a very high-tech design. For example, the Blendtec features a touchpad interface that allows you to control speeds and settings by just moving your finger left and right. It also has a shorter design allowing it to fit into more spaces in your kitchen. As far as its smoothie making ability goes, it’s high class. You actually have more blending options with the Blendtec. For instance, it has a pulse function. You can use this machine for anything from grinding coffee to making ice-cream! These are a little less pricey than the Vitamix, but they can definitely get up there in prices. Like the Vitamix, however, it comes with a 7-year warranty. If you really can’t spend that much money on a Vitamix or Blendtec, then you should look into the Ninja’s. They are probably the best low-costing blenders on the market. Now when you look at a Ninja vs. Vitamix, the Ninja obviously doesn’t match up, but for the price it will make a pretty darn good smoothie. Summer is on the way and cold smoothies can be an amazing nutrition option on a warm summer afternoon. 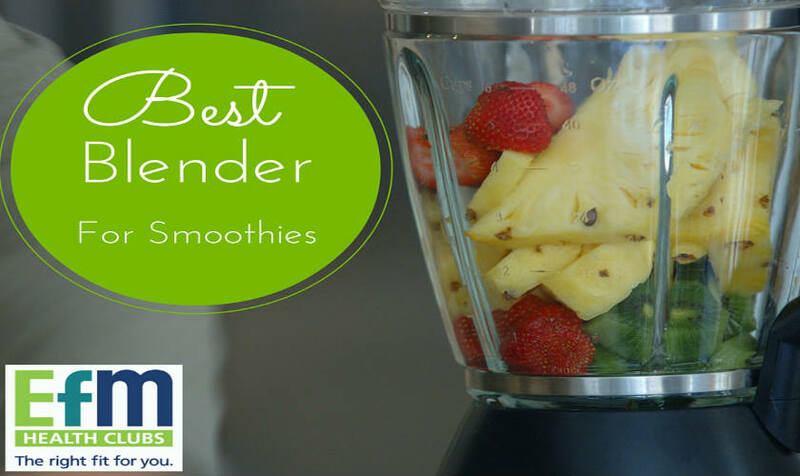 Take the time to review some of the options above to find the best blender for you!